Heart shaped lavender sachets are truly beautiful things for beautiful living. Each sachet is created by a very talented artisan and friend of mine from Dallas, Texas. These sachets will add beauty to your home for years to come. 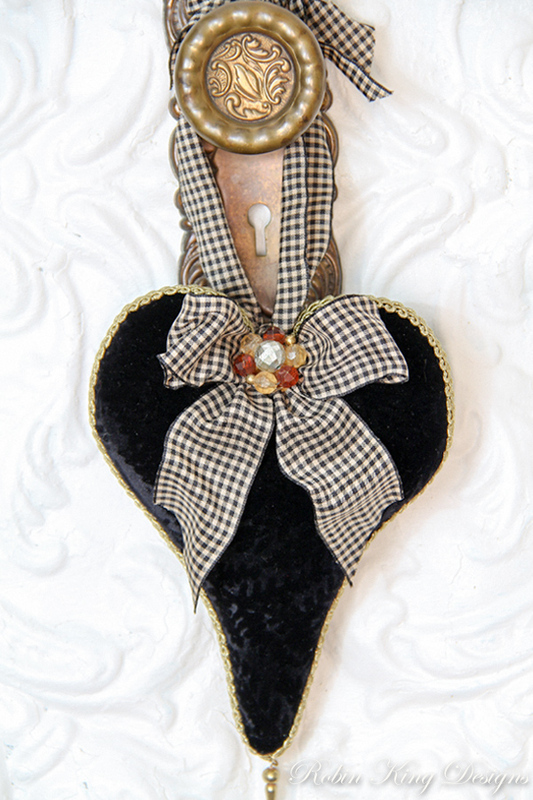 Perfect to hang on a doorknob, armoire, desk or to place in a very special drawer. Each sachet is approximately 9 inches tall, not including ribbon, and is made with beautiful fabrics, gorgeous ribbon, vintage adornments and scented with lavender. A wonderful gift for you or a friend.